Fabric Fanatics has come out with the most fun & unique quilty gifts. 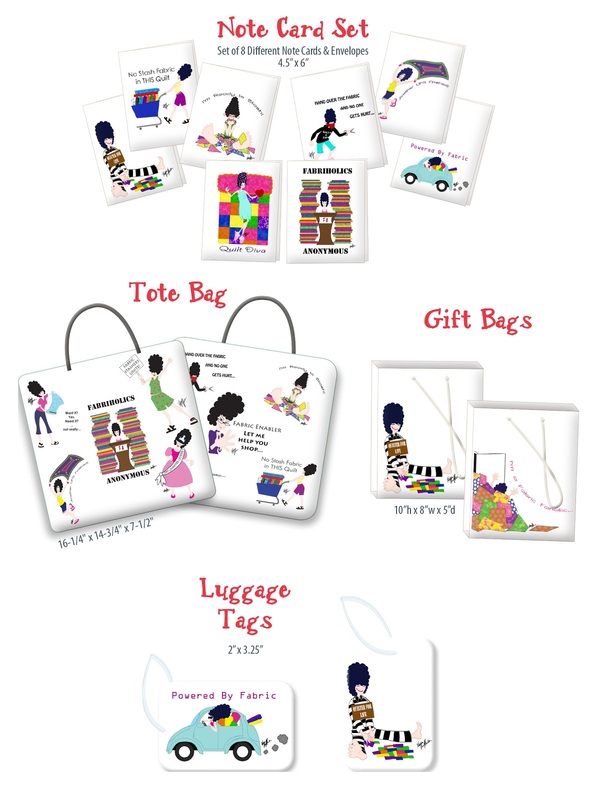 They have tons of cute Sticky Notes, a set of 8 Note Cards, a Tote Bag & Gift Bags and the most adorable Luggage Tags! Such fun things to choose from! We definitely hope Santa’s fills our stocking with these goodies! Love the cards, might even want to frame some for a cute punch of color and fun in my studio. Fabulous! I would write to all my friends with these! These are too cute. I keep a pad of paper next to my sewing machine to jot down notes and measurements, these would put a smile on my face each time I wrote something down. I think these should be in my stocking so I could write cute thank you notes after Xmas. 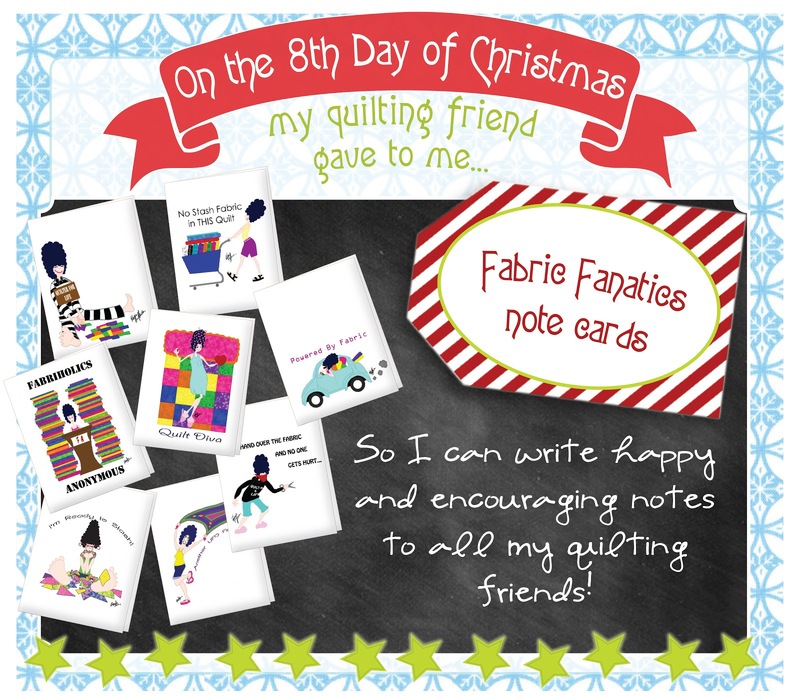 Great stocking stuffers for my quilting friends…. if I can bear to give them away! I think Santa better leave these for me as I have not even thought about cards for this year! thanks! Like the previous post I have not even thought about Christmas cards either. Would love to win. I am one of those rare people who still writes and sends cards in the mail. Santa, these would be fun to have. I want this in my stocking so that my friends will think errrrr know I am the best quilter for sending such great notes! Thanks for another great giveaway! Oh Santa, these would be so much fun to gift to others. Please leave them for me so I can share! So so cute…who wouldn’t want to use these cute note card!? Oh Santa….pick me!! These are so cute Santa, please leave them under my tree. That way my non-quilty friends will see what my quilty friends already know, I’M QUILT CRAZED! what fun! These would encourage me to write the notes I need to do. I do follow the blog. These are too cute. They would be perfect to use when I write notes to my swap partners. I was going to say that I’d love to have about 10 sets of these to send notes to my online group, but I really LOVE the idea of framing them – so that’s why I want them – to decorate the walls of my sewing room! What a cute prize, thanks for the chance to win! I see my motto on one of those cards….I try to keep life balanced…It would be a great reminder everyday!! Love love love the designs. I would use these and share with my quilting buddies. 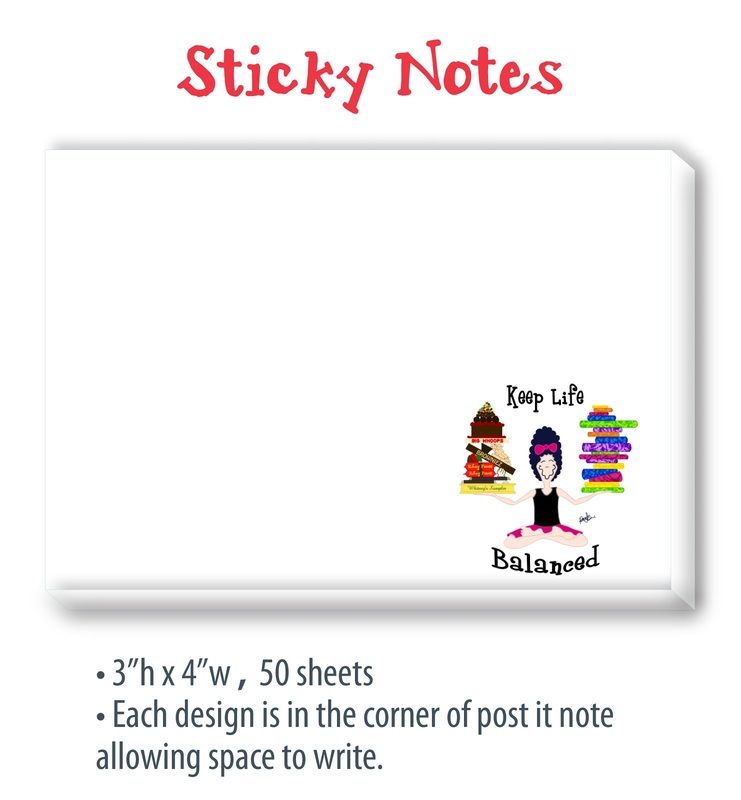 I leave colored sticky notes all time and Santa would like to see these cute note card sets in my stocking for Christmas. These add more flair to my life and are the handiest card set ever. Thank you for the chance to win. Theses sticky notes are too cute. Thanks for the giveaway. I would love these in my stocking because they are so cute! I want these in my stocking so when I send a sewing buddy something I can include a really appropriate notecard with it. Love anything quilty so these would be great to share amongst my quilt group if I won. Thanks for the chance. Hugs…..
I’m always looking for cute notecards when I write my Amish penpal. They are very cute! Love to have them in my sticking, Santa! I would love it if Santa would leave these in my stocking, I can’t ever find any quilt-related note cards for my friends. Following you and love the cards! 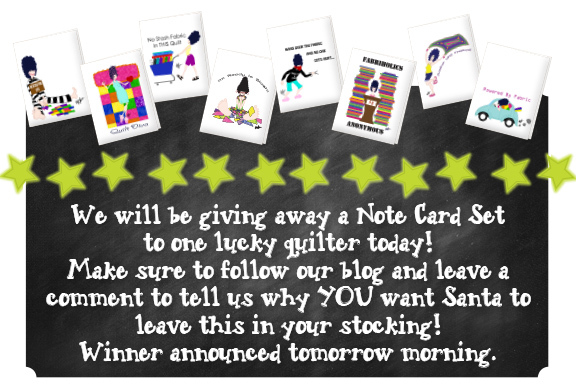 I have some quilty friends that need a note, so please Santa send me some note cards. 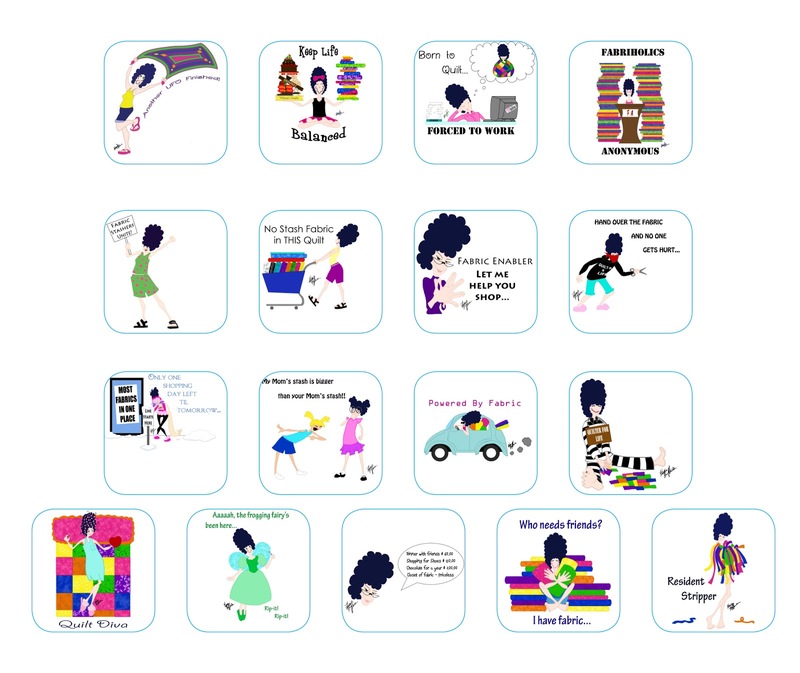 shopping sure would be more fun with these fun notes! Love to see them in my stocking! Oh I would totally love to win these! I especially like the volkswagon powered by fabric – I’d send it to my sister who has a little blue bug and a stash bigger than mine 🙂 Thanks for the chance! I love note cards! These are hysterical! I use stickie notes for most everything, lists, reminders, directions and even row markers for quilts! I hope Santa finds these! I would think Santa wants me to have manners and with these fun cards I could send great thank you cards/notes to those who are so nice and send me quilty or sewing gifts/surprises. Having these means no more boring thank you notes. These are just too cute and would be fun to send and receive. I would love them in my stocking! 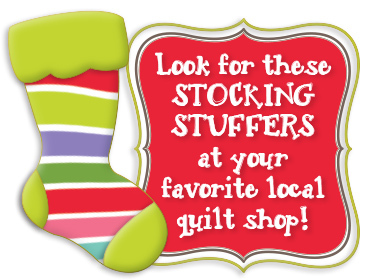 And I would love to share them in my quilting friends stockings! These are very cute and would be fun to have. Those are so cute! Thanks for the giveaway! I would love to send cards to my quilting friends! Thanks for the chance to win! just what i need…i’m always looking for notecards with a quilty theme and these are perfect. thanks for the chance to win them. I think I need these to write cards to some of my quilting friends who have moved away. How cute! 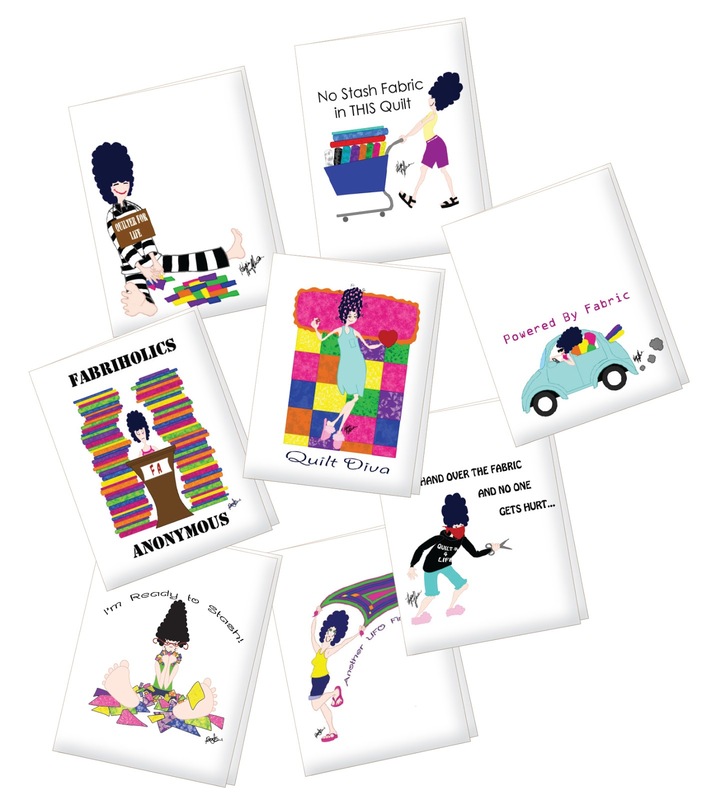 I have knitting cards for my knitting friends, if I win these quilting notecards my quilting friends won’t feel left out! I need these in my stocking so I can send cute notes to swap hostesses! I need these in my stocking because they are so darn cute! These are a riot! I need them in my stocking so that I can write all the thank you notes that I need to write. These are cute! I need these in my stocking because they will make note writing more fun, and tell everyone I write to that I’m a Diva! Maybe getting note cards will remind me to send more thank you notes to my quilting friends for all the wonderful things they do. Thanks. I’d enjoy using these cute notes for my Quilt of Valor coordinator work in our guild..they would add some fun! I send notes back and forth to our members who make beautiful patriotic quilts to thank our service people. These are wonderful – I still write letters so this would be perfect. These are soooo cute. I hope I get them in my stocking! These are so fun! I do a lot of swaps and these would add a fun touch to my mailings. those are just too cute! please pick me! I love the sticky note pad. Very cute! Who wouldn’t get a kick out of this humorous quilting notes, etc. They are darling! I would love to find these in my stocking. They’d make me smile each time I used them. This would make all my little notes so cute and sweet. I could leave notes for all my sweet quilting buds. So cute! Makes my heart flutter–I’m the woman who remembers her favorite store was the stationer’s! What a perfect way to stay in touch with family and my quilting buddies back home. I am currently stationed in Europe. These are absolutely adorable! I would love to mail them to my fellow crafters. All of the items are so cute. I would love to have a set of note cards, to send to all my friends when we do a swap. Love all the giveaways…it such a generous gesture at this time of year. Almost all the women in my family sew and craft so these would be perfect to find in my stocking 🙂 Thank You and Happy Holidays! Oh they are too funny. Santa needs to leave me thsese as I still blieve in the written word. I love sending encouraging (and funny) notes to my friends. Thanks again for the great giveaways. Love everything they have. I still use notecards and the one LQS has closed. Great idea for gifts. I am old fashioned and still love writing notes, not just emailing. These would be fun to use. I still write thank you cards and would love to have a set of these great cards. These would be fantastic!!! Thanks for the chance! Santa, these note cards would be great to find in my stocking so I could share info on up coming shows and workshops with my sister. Those note cards would be great to send out with my swap parcels to bloggy friends. I am always looking around for a piece of paper to jot a note. These are cute and I could use them. How fun it would be to have these to share our crazy quilting humor with others! Thanks for the offer! They are super cute who wouldn’t want them! Too much fun. Perhaps I’d even share!